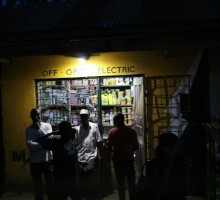 Home Insights / One Acre Fund reports a strong first year in Tanzania. — We are pleased to report that this project – which represents a powerful collaboration between Svenska PostkodStiftelsen, The World We Want Foundation, and One Acre Fund – is already on a strong trajectory for success. Tanzania has proven to be One Acre Fund’s fastest-growing new country launch to date, and we are well-positioned to achieve the two core project objectives summarized above. We have built a top-performing leadership team of more than 65 local staff, proven our impact with 4,300 Tanzanian farm families, and laid the groundwork for permanent rural infrastructure. We are poised to nearly double in size over the coming year, and are now projecting we will exceed our initial 2015 growth target, to serve over 8,500 Tanzanian farm families, encompassing over 29,000 children. 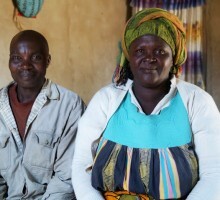 An example of One Acre Fund’s successful model is Ms. Donato, a smallholder farmer outside Iringa, Tanzania. Ms. Donato and her husband have four children, and live on 4.5 acres of land. Historically, the family had a very hard time supporting themselves from the farm’s poor yields — facing food shortages, an inability to pay school fees, etc. 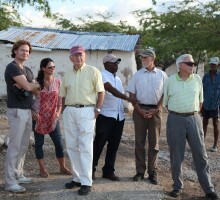 All this changed when the couple enrolled with One Acre Fund in 2012. By providing farmers with a complete “market bundle,” including: 1) agricultural technologies (improved seed and fertilizer), 2) financing, 3) in-field training on modern, environmentally-sustainable farming techniques, and 4) post-harvest and market support, One Acre is able to double and even triple crop yields. Importantly, farmer families invest this new income productively: in school fees for their children, in productive assets such as livestock, and in improved housing for their families. 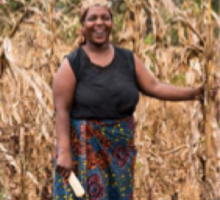 At the end of 2013, Mrs. Donato and her family harvested 25 bags (90kg each) of maize on 1 acre — compare this to the mere 10 bags harvested from all 4.5 acres in previous years. With the additional income, the family avoided the ‘hunger season’, increased their nutritional intake, invested in livestock, and were able to pay all the school fees for their four children. They now report that their crops are looking even stronger this year. We can not wait to hear what the 2014 harvest looks like!